News How do we make our Customer Demand Clouds? How do we make our Customer Demand Clouds? View demand for any point / period in time – what did your customer say on the day of latest product launch? 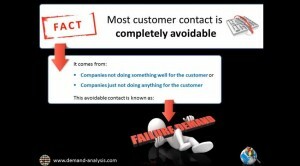 How much Failure Demand do you have in your business?